I really enjoy photographing conferences as I learn a lot, as well as working in a structure that requires me to make interesting photographs of important people in their fields, in awkward situations, i.e. eating, drinking and speaking. 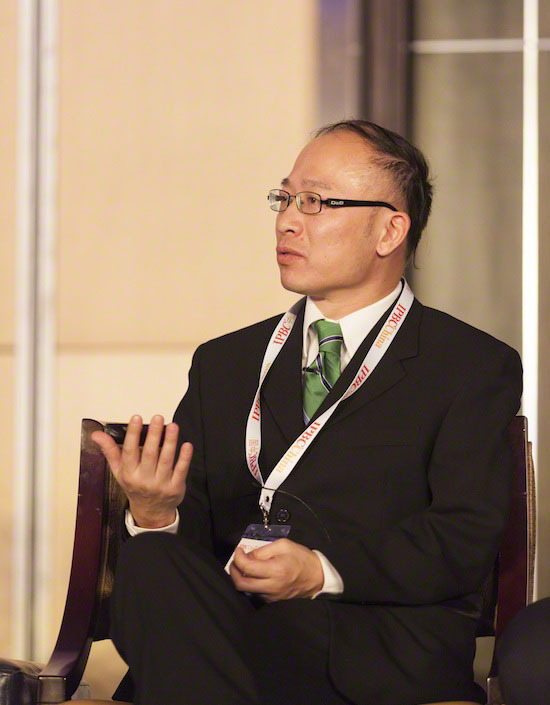 This photograph is a pause between thoughts of Roger Shang, Chief Patent and Technology Counsel, Alibaba Group.